Scott regularly counsels clients on a wide range of business matters, including mergers and acquisitions, real estate, securities and other general corporate matters. Scott has experience advising clients with respect to asset and stock purchase transactions; exempt securities offerings; Regulation D private placement offerings; creating private equity funds; commercial and industrial real estate purchase, sale and leasing arrangements; and choice of entity analysis; as well as drafting various corporate organizational documents, shareholder agreements, operating agreements and other agreements related to the operation of closely held businesses. In addition, Scott has a deep knowledge of the securities crowdfunding industry. Scott has co-authored a chapter on securities crowdfunding for the State Bar of Wisconsin's leading Securities, Mergers, and Acquisitions treatise, and given multiple speeches on exempt securities transactions before the State Bar of Wisconsin, Milwaukee Bar Association, and Milwaukee’s startup community. Scott is also a member of Husch Blackwell’s HB Innovate team, which focuses on providing innovative and streamlined legal services to startup companies. 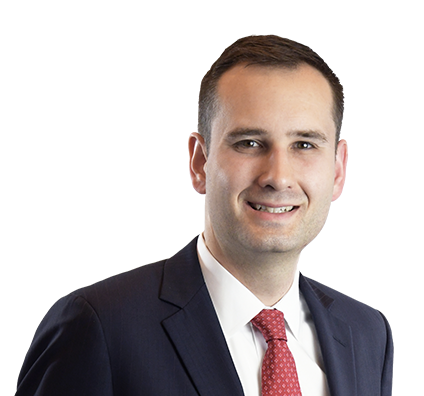 Prior to joining Husch Blackwell, Scott practiced with a business law firm and gained substantial experience advising a wide range of industries and businesses. This broad experience has positioned Scott well to spot unique issues for clients during the course of a transaction. Ultimately, his focus during client representations is on using his careful attention to legal details to best guide clients to their ultimate business goals. Negotiated multiproperty industrial leasing arrangement on behalf of real estate holding company. Represented real estate holding company in sale of industrial warehouse. Advised closely held family partnership on sale of strip mall property. Represented storage facility operator in multiple real estate acquisitions. Advised borrower on $11 million refinancing transaction subject to cross-collateralization of real estate parcels. Counseled real estate developer in acquisition of vacant land for apartment development. Represented commercial vehicle lessor and fleet manager in syndicated credit facility and sale of senior and subordinated notes in transactions valued at more than $1 billion. Prepared private placement memoranda for $10 million SEC Rule 506(b) offering of Blockchain/distributed ledger startup focused on Credit Union industry. Counseled client pursuing SEC Rule 506(c) private placement on real estate crowdfunding platform. Prepared private placement memoranda and blind pool private fund for food and beverage private equity group. Organized real estate holding company and S corporation for acquisition of distressed food distribution company. Represented U.S. subsidiary of international manufacturing company in $28 million stock sale. Represented closely held manufacturer of tanks and marine components in asset sale to an international company. Advised buyer of food and drug manufacturer on asset sale and acquisition of manufacturing facility.